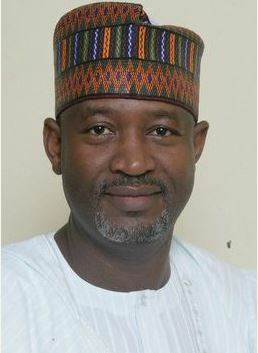 Airports security personnel will now bear arms, Minister of State (Aviation) Senator Hadi Sirika announced yesterday. President Muhammadu Buhari had approved the use of arms and ammunition by airport security personnel. With Sirika were Minister of Interior Abdulrahman Dambazau and Special Adviser on Media and Publicity Femi Adesina. He said: “We are very serious about aviation security; just last week, the President approved that aviation security should bear arms. So, we are trying to make them take the form and shape of Transportation Security Administration (TSA) of the United States (U.S.) with K-9 dogs, handcuffs, the guards, the batons, light weapons, etc. “The minister of interior is helping us in that regard with the directive of Mr. President. They are partnering with us and other stakeholders to keep our airports secure. “All these will be unveiled at the next stakeholders meeting,” Sirika added. He said yesterday’s FEC also approved the completion of the Kaduna airport terminal building. According to him, the contract was first awarded in 2011 and the work began in 2012. Said Sirika: “During the rehabilitation of the terminal building, a contractor noticed some structural damage to the building itself and then increased the scope of what to be done to put it to use and that necessitated the variation of contract sum. “The cost of variation is in excess of 15 per cent. It had to go to the then President Goodluck Jonathan for approval anticipation. That was done and they went to the Bureau of Public Procurement (BPP). “So, we brought it to Council today to ratify and, of course, taking into cognisance the exchange rate and inflation that have increased the cost of completion of the terminal building. “Council has approved the completion of that terminal building and it will be completed in six months. The contractor has accepted to work within that period. On how the government would manage the closure of Abuja airport for six weeks while work is on at the Kaduna airport terminal, where the Abuja flights will be diverted to, Sirika said the two projects would not affect one another. He also ruled out the possibility of VIPs landing in Abuja during the six weeks closure. He said: “The airport will be totally closed for six weeks, the construction and rehabilitation work is for six months. Within six months, there is a window of six weeks that the airport will be closed. like mat, it was caving in like deep gully erosion and FAAN was busy patching it until one night it caved in. An Air France plane landed, it destroyed the landing gear and burst the tyres. After the repairs, the airport was closed for two and a half years until recently. when things are bordering on safety we don’t joke about human lives. “The runway was designed for 20 years to cater for not more than 100,000 people per annum, today it is doing over five million persons per annum and has been there for 34 years. The minister spoke of plans to install in the major airports landing systems that are suitable in bad weather, “except if it is terribly bad”. “Of course, there is a system in place that you can land blindly with zero visibility but that also needs you as a pilot to be well-trained and for the aircraft you are flying to have the same equipment on board and for the airport to be so equipped,” he said. On a national air carrier, he said: “When we came in, we were very clear on our targets and goals and what we set out to achieve and we did say that Nigeria does need a national airline. The national airline will be one that the government will have no hand in; it can have three per cent. It will be private sector led; private sector driven. “Except with the Ethiopian airline, it has been proven that government doesn’t do well with this kind of venture. We are going to have a national carrier. It is on course. And because it is a PPP thing, it has to follow all the due process. “It is time-consuming, but I hope very soon, before the end of the year, we will have a very strong, viable national airline. “We are going to establish this national carrier and it will give good service. This is the solution because Nigeria has the market, we are 180 million. We are sitting in West Africa and in the West African market, we are 450 million and Nigeria is the major player. Dambazzau said the FEC had approved N4.6 billion for the procurement of some fire-fighting equipment. According to him, the last time such equipment was procured was in 1996. “So, the equipment in the inventory today were procured between 1985 and 1996 and since then, there was no procurement,” he said.